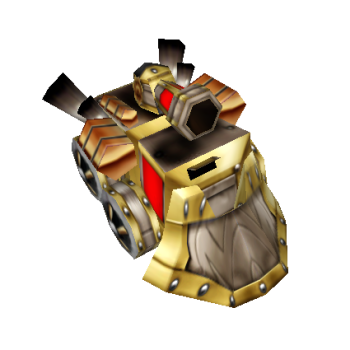 Basic ground tank with a single target stun and area of effect damage spells which are suited to clear creepwaves or hit a previously stunned target. The light tank works best with middle range (888-1050) weapons in the early game, when the heal enables safe farming and the stun can punish mispositioned opponents. The relatively low base hitpoints may require an early hull or an early transition to a more expensive tank. Shoots a cluster of bombs at the target area. causing damage to enemy units. Fires 3 rockets with a range of 1000, stunning the target unit for 1 second. Repairs Hit Points in 5 seconds, partly based on your max Hit Points. Light Tank has starts with 1000 maximum hitpoints. Increased maximum Hitpoints by Hulls are included. Fires a grenade shell at the target location, dealing damage to every enemy in range.